After the third grade students graduated，I became a second grade student and welcomed the new students. We had club introductions. Our singing club introduced two songs. One was Winding Road and the other one was Beauty and the Beast. And our English club also introduced our activities to groups of students. I hope that many new students will attend our clubs. 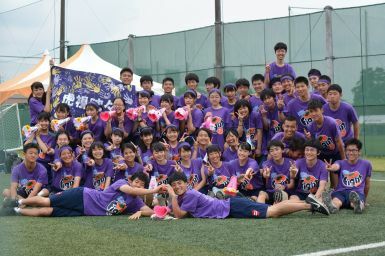 I would also like to tell you about one of the biggest activities in our school, the sports day! 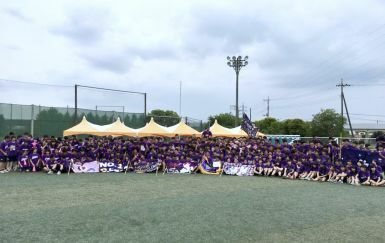 This year I was in the purple team. We made our class T-shirt to like a Fanta drink shape. It was so cute! Then before the sports day we had practice. We played in three games. They were pulling sticks (like a running tug of war), Hannano Stage and the horse riding battle. We were worried when we were practicing. But when the day came, all of us were very excited. We tried our best to do the two matches and to encourage the players. 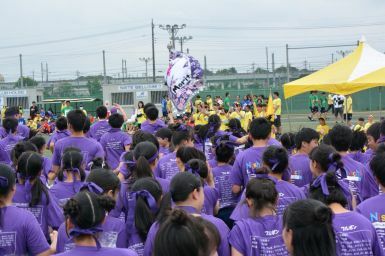 At last we had the big running relay contest which is separated into teams by colors .The purple team always led for the entire race. At last when the runners reached the finish line all of the purple team students come out of the tent and ran around the grounds to express our joy. The purple team won the day with the most points! We had a wonderful memory that we will never forgot!